The peoples of the Sioux tribes of the northern plains are not among the largest tribes in North America, but they are perhaps one of the most well-known tribal nations. Inhabiting large swaths of land across the Dakotas, Minnesota, Montana, Iowa, and Nebraska, the Sioux were one of the most formidable groups to face off with the United States Army during the American-Indian Wars following the US Civil War. 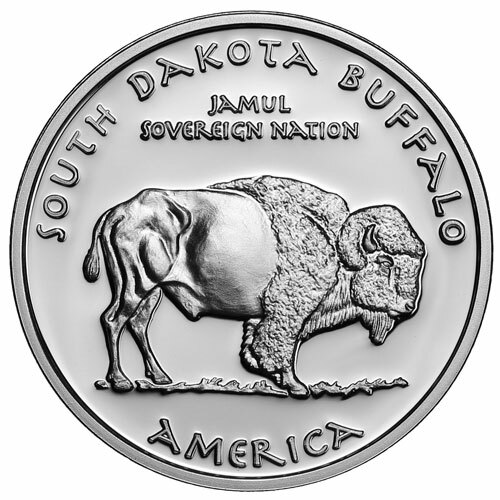 Right now, the 2016 1 oz Silver Proof South Dakota Sioux Buffalo coin is available on Silver.com. Sixth overall release and first of 2016 in the Native Dollars Series! Honors the Sioux people and represents the state of South Dakota in the series! Bears a face value of One Dollar from the Native American Mint. Coins DO NOT hold legal tender status in the US. Obverse feature the portrait of a Sioux chieftain. Reverse includes the right-profile of a buffalo. Coins have a satin proof finish. Although Sioux is often used to refer to people as one cohesive group, the term can actually refer to any ethnic indigenous tribe without the Great Sioux Nation. There are three major divisions within the Sioux, and they include the Santee, the Yankton, and the Lakota. Each of these groups resided within the same region of the US and Canada, but occupied separate regions based upon their ethnic affiliations. The Eastern Dakota were found predominantly in the eastern stretches of the Dakotas, Minnesota, and northern Iowa. The Yankton, also referred to as the Western Dakota, occupied the Minnesota River Valley, and the Lakota largely resided in large stretches of the Western Plains covering the Dakotas, Nebraska, and Montana. 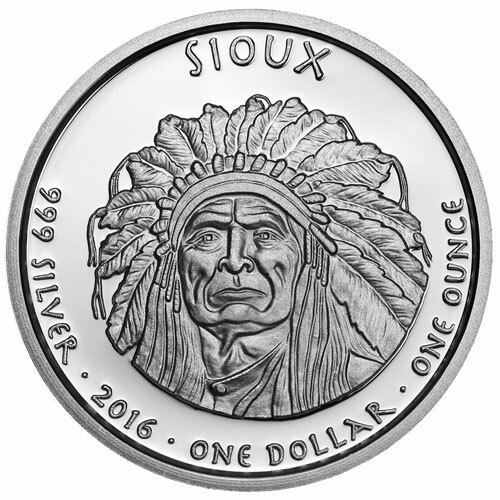 Each 2016 1 oz Silver Proof South Dakota Sioux Buffalo Coin has a satin finish, with a mirror-like appearance. Though the coins have a face value, the Native American Mint is not authorized to produce US legal tender coins. If you have questions, please reach out to Silver.com associates. You can reach us on the phone at 888-989-7223, online using our live chat, and via our email address.